Just a reminder, words that are in bold print are links that might interest you. If you click on the photos, you will be redirected to the smugmug gallery where that photo resides. Escaping is easy, it just requires a moment and a bit of planning and the commitment to put it on the calendar. Somehow if it’s on the calendar, we manage to do it. The original plan was for a trip to the desert, to the east side of Oregon, basking in the high dry gorgeousness of the Steens Mountains. I can’t believe it has been so many years since we were there. It seemed like a lovely thing to do in early June. Company gone, chores caught up, we put a week of escape days into the calendar. I mapped the route, looked at Page Campground near French Glen, checked the weather, read the blog about our last trip to the Steens over Labor Day one year. Then something happened. Seven hours of driving, no water to play on, gorgeous high desert that is known for gnats in June at the campground, hiking the main entertainment. Off grid. For no reason I can explain, I said to Mo, “Why don’t we go to Howard Prairie instead? 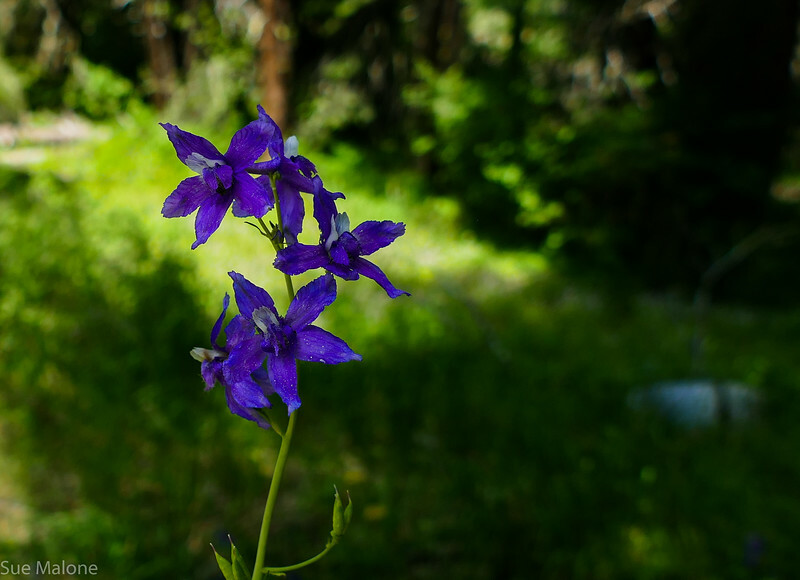 We can kayak and have a campfire and enjoy the forest again.” That is how a long trip to the high desert turned into a short trip into the western slope of the nearby Cascades. On the map, you can see Rocky Point on the upper right corner, where we used to live, on the left, our home in Grants Pass. It somewhat explains why we never managed to get to Howard Prairie again, even though Mo and her family used to have family camping and boating get togethers there many years ago, before I knew them. Living in Rocky Point, we were so close to so many outdoor options, lakes, rivers, the refuges, that we forgot about Howard Prairie. 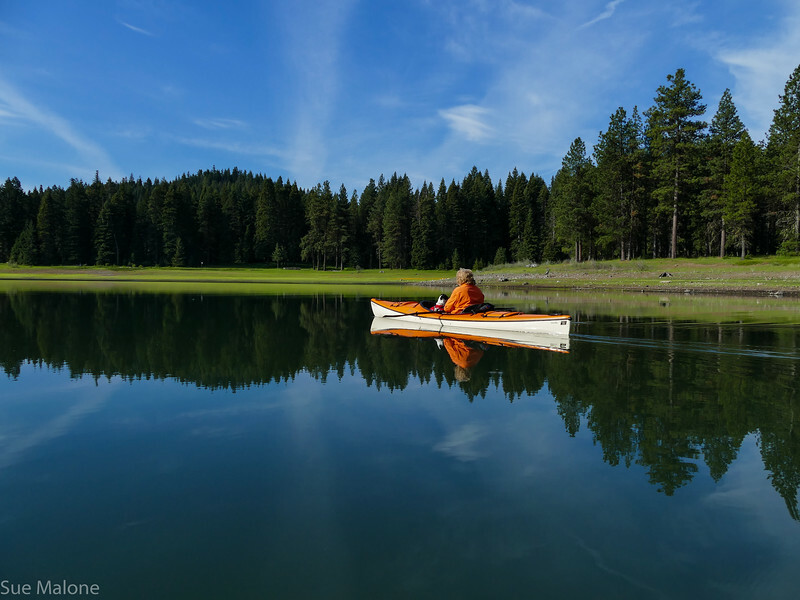 Now that we live in town, on the west side, we have to be a bit more creative in finding good places to kayak, and that most often leads us back to the mountains east of Grants Pass. Time surely does have a way of disappearing. We had good memories of a camping trip to Grizzly Campground at Howard Prairie, but when was that? Not in the blog? Oh no! It was before I started blogging. No journal of the trip? Oh my! I finally found the photos, from the summer of 2006, the first year I moved from Klamath Falls Oregon to Sonora California for my work. I drove the truck back to Oregon and Mo met me at Howard Prairie with our baby MoHo. I wish I had written about the trip then, because we spent a lot of the time trying to remember which site we were in, and where we had kayaked. What we did remember, however, was that we went to the Britt Music Festival in Ashland, and then drove back up to the mountain lake to spend the rest of the weekend. That first night we were all alone in the campground, and as we drove in the pitch darkness was a bit disconcerting. The campground isn't terribly small, 19 sites, and is located right next to the main road. It was one of the few times in our RVing experience where we were definitely a bit spooked. That year we had a lovely day on the lake, with water flowers, pelicans, gorgeous views of the mountains, but this time when we got out in our boats, nothing looked familiar. 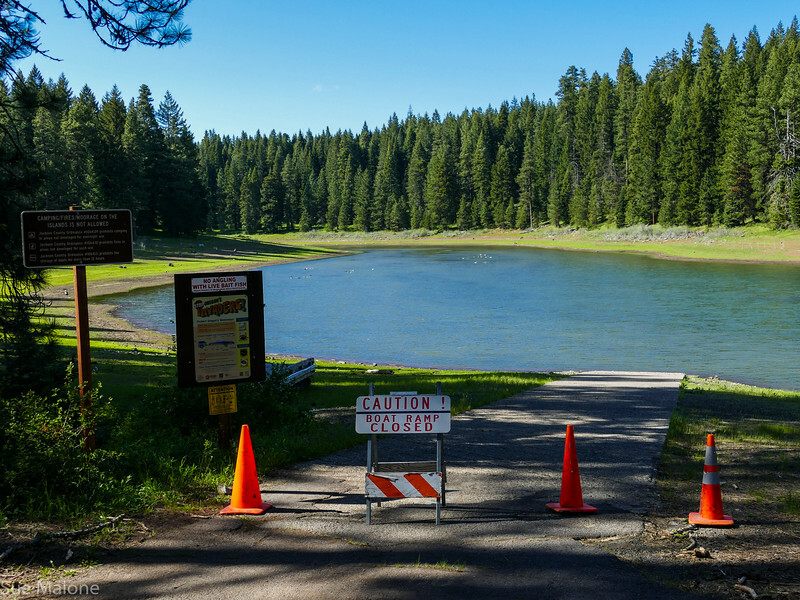 Howard Prairie Lake is actually a reservoir, and is currently at less than 60 percent of capacity due to the low snow pack from the previous winter. The shoreline is so far down that the lake is significantly smaller. The only factor that wasn’t particularly nice about that low water was the mucky bottom along the shoreline. Our site was adjacent to the water, and we carried the boats down, hunting for a place to launch. Mo chose the rocky lower bottom of the closed boat launch, and I chose the mucky bottom. Still, once we were on the water, everything felt wonderful. Our morning kayak on the lovely lake was filled with birds, especially the Canada geese with literally hundreds of babies. The American white pelicans were around, not more than half a dozen at a time, but they entertained us perfectly with their F15 type flying maneuvers low over the water. I filmed one of them feeding, and he basically ignored me as he dumped over and over into the water in search of goodies. 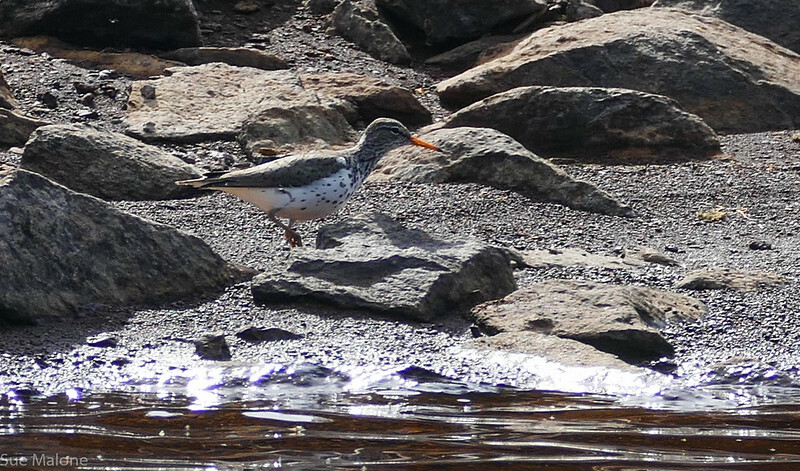 We saw eagles and ospreys, too high to photograph well from the rocking kayak, and what I later discovered was a spotted sandpiper. We heard kingfishers, and killdeer. 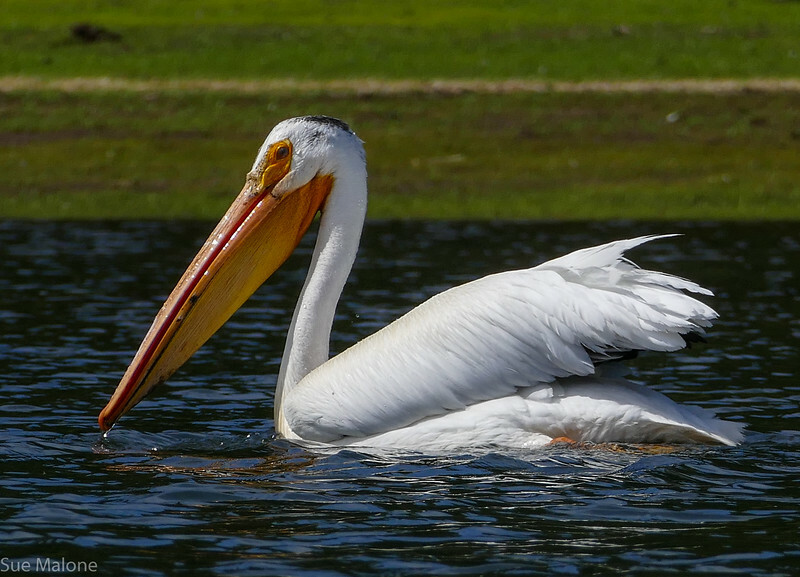 It is what we love best about our Oregon waterways, all the amazing birdlife. Once again we had the entire campground almost entirely to ourselves. The first night a lone camper drifted in and the next morning we met him after his morning yoga on the beach. He and a friend had just graduated from Berkeley and they were celebrating by driving around the Pacific Northwest. He rushed over when we saw us approaching the landing area, offering to help us if needed. I guess maybe he was worried because we looked too old to get out of the kayaks alone? Ha! It might be funny to watch, but we can still manage it. The second night we were joined late in the evening by a lone camper in a white truck who quietly set up his hammock and disappeared early the next morning. 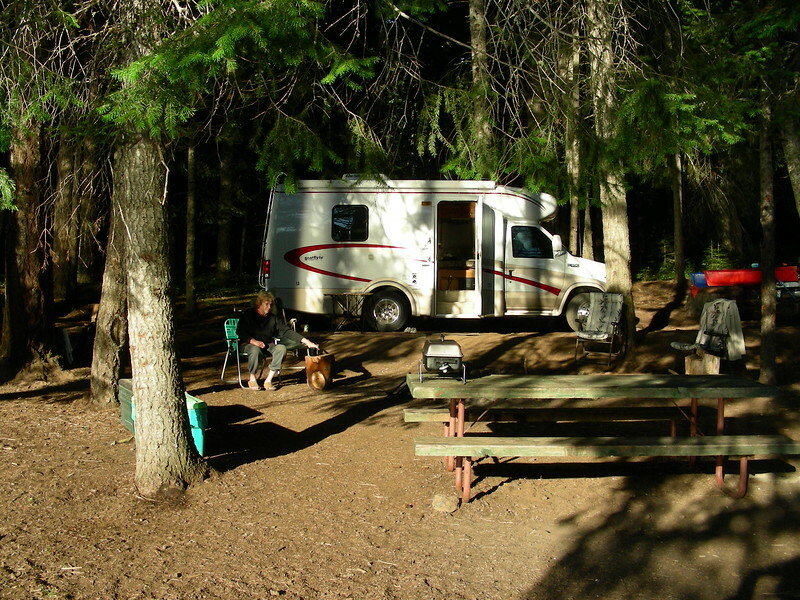 On Wednesday night, during a sunny pleasant week in June, we had the entire campground completely to ourselves. Totally dark and totally silent and totally alone. For some reason, it wasn’t the least bit spooky this time. 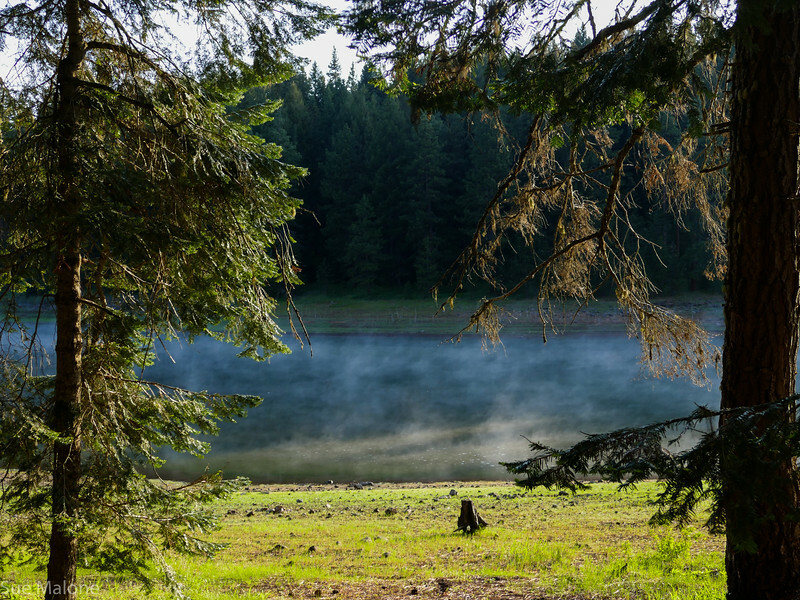 We woke in the mornings with the eastern sunshine pouring in through the forest and the lake mists, to chilly temperatures. Waiting an hour or so for the sun to warm up the air a bit, we launched the kayaks for time on the water before the winds came up. Still, the paddles back home were more challenging because even by 10 or 11 on the lake, the breezes made for choppy water. We would return from our boating forays before noon and cook a nice breakfast, which served as a great lunch as well. Two meals a day is perfect when camping it seems. Although one afternoon we did supplement our home cooking with some ice cream from the resort grocery store. 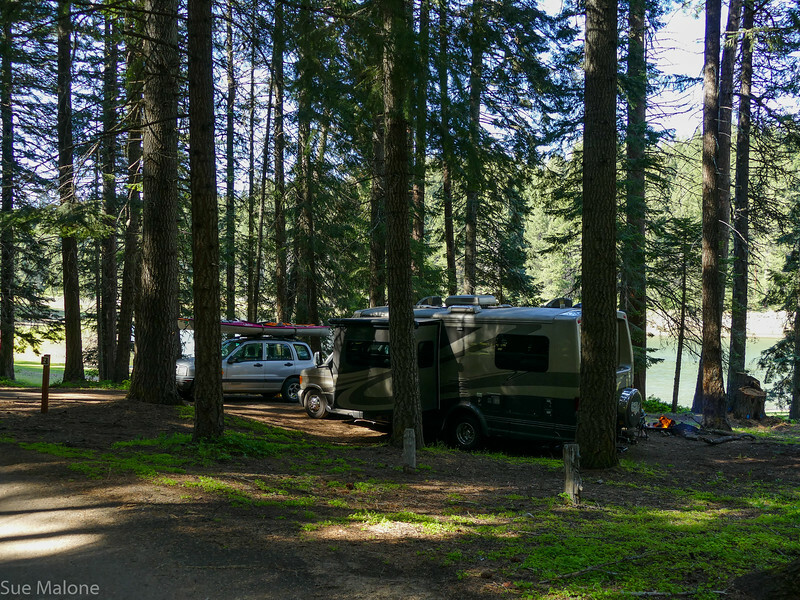 In the afternoons we explored the other campgrounds around Howard Prairie, checked out the resort, with its big campground with hookups, a store, and a marina. Even the fancy campgrounds were not even close to full, with lots of space. Another afternoon we drove south to Hyatt Lake, a smaller reservoir nearby, with water that was even lower than that at Howard Prairie. Hyatt is a lovely little lake, and unlike the Jackson County campgrounds that are around Howard Prairie, the Hyatt campgrounds are administered by the BLM, and are reservation only sites. 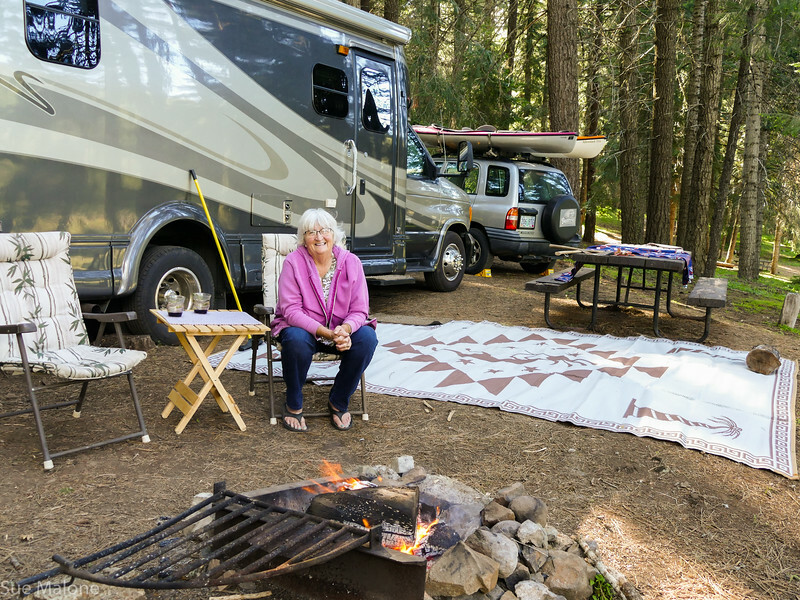 On each campsite is a number to call to get a reservation, which you can do on the same day. Although cell service is basically unavailable, so we decided that if we ever wanted to camp at Hyatt, we would have to really plan ahead. 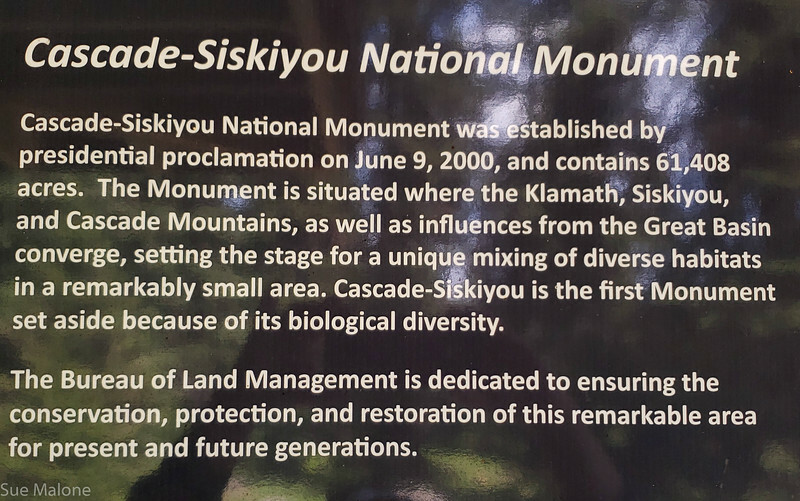 I didn’t realize that the infamous Cascade-Siskiyou National Monument boundary actually included the eastern and southern shoreline of both of these lakes. We started up the rough dirt road, crossing the Pacific Crest Trail, toward the Yew Springs Road, but without maps, the forests looked all the same and we had no idea how far the road went through the same kind of landscape. Later I did some research and discovered an entirely new world of amazing places to hike and explore right here in our own back yard Cascades Monument. The hike to Hobart Bluff is definitely on our list of things to do. The monument is only infamous if you are among my friends who have tracked some of the issues surrounding National Monuments in our country at this time. This is one slated for reduction, and is the subject of much controversy in the area, some pro, some against, but everyone has a strong opinion. Much to say here, but I’ll save that for private conversations. 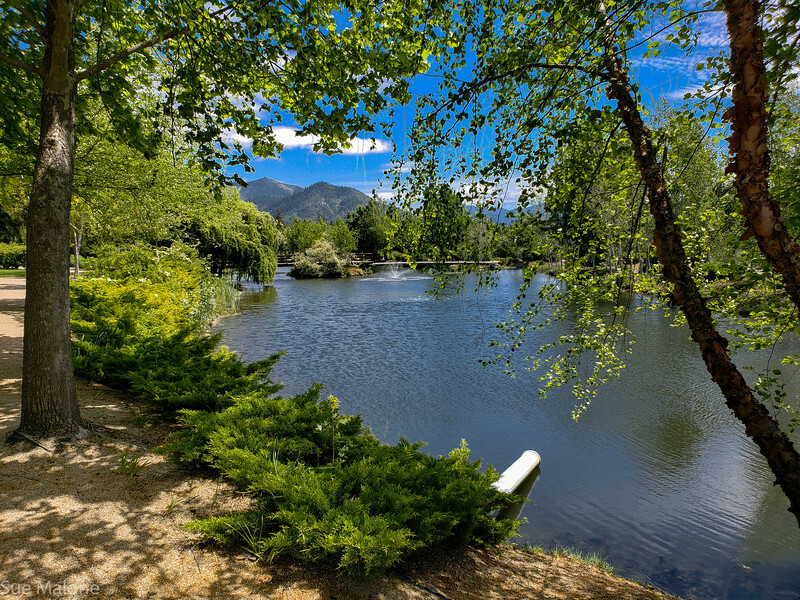 Another lovely feature at Howard Prairie is the beautiful trail that encircles the entire lake, with several sections that are accessible from different points. 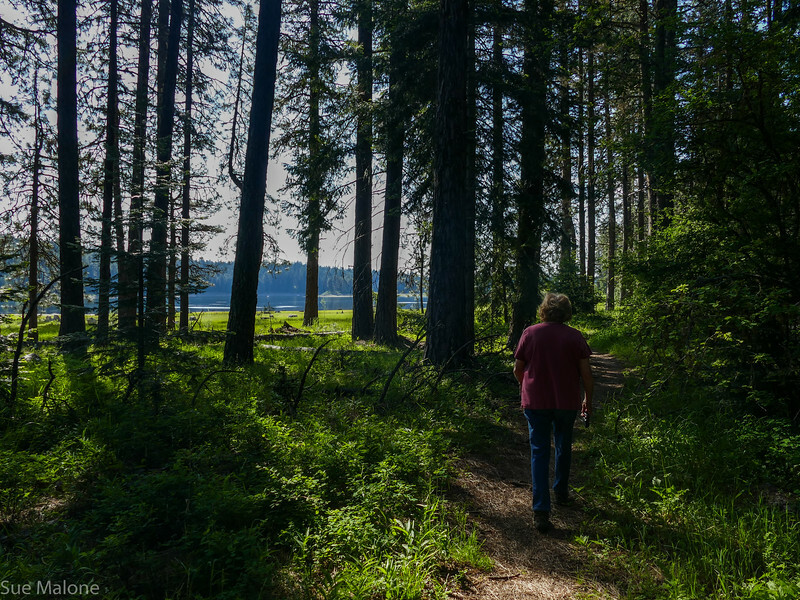 We walked part of the trail between our Grizzly Campground and the main Howard Prairie Resort, and another part of the trail that surrounded the upper part of what was once lake but now is only meadow. 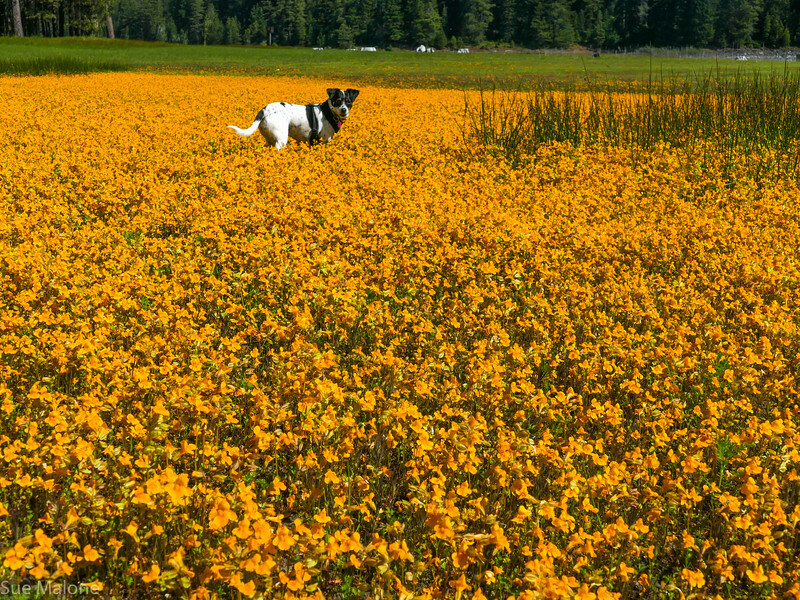 The nice thing about the low water was that at this time of year, the exposed banks were covered with thick green vegetation and tons of wildflowers, including huge drifts of yellow monkeyflower. It was breathtaking. 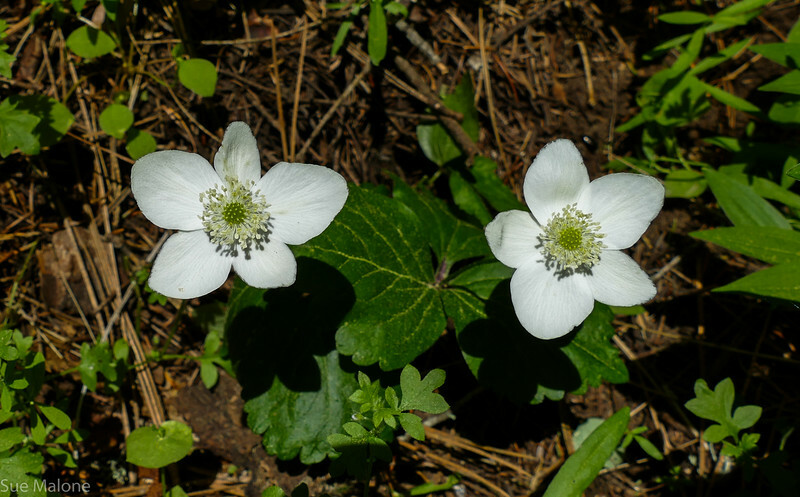 Wandering through the woods, I was tickled inside to find so many little forbs and flowers familiar from my soil mapping days in Northern Idaho. 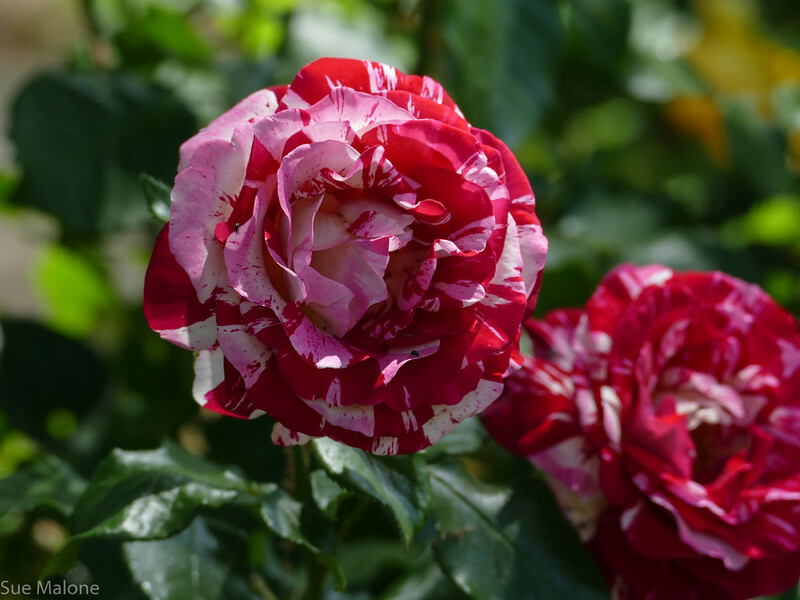 Similar species, and even some that are the same, and many that are indicators of moist soils from which they spring. 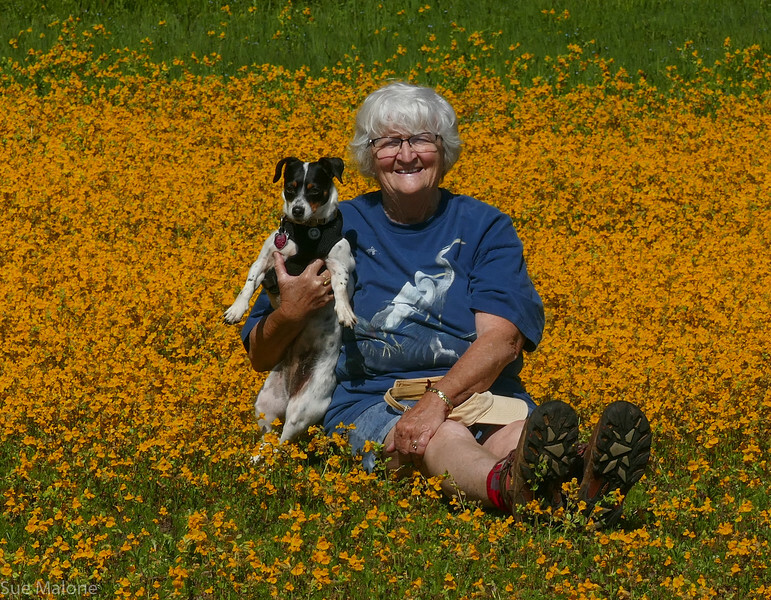 Recognizing some, remembering their names, and seeing others that I had no clue about reminded me that it has been awhile since identifying all those little forbs and flowers was part of my job. Mo made a great campfire every single night, with well seasoned wood from trees we had taken down on the Grants Pass property a few years ago. 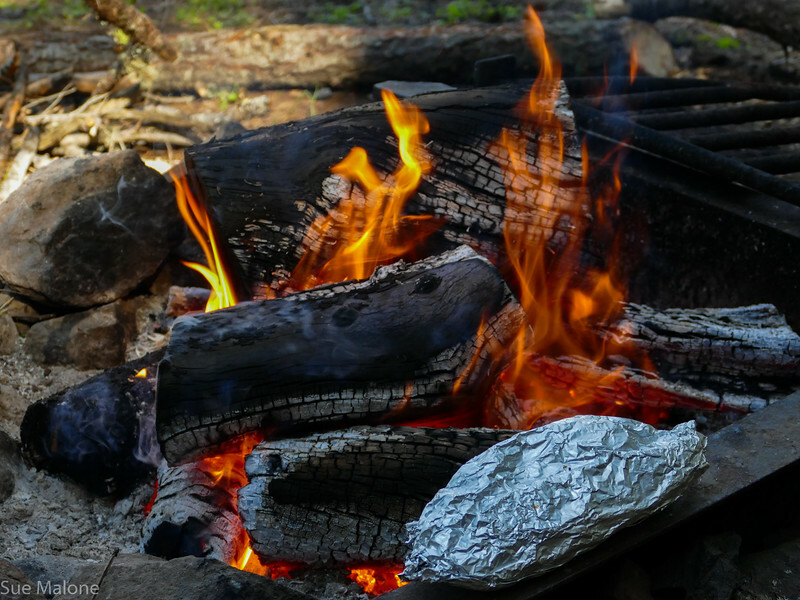 We sat outside by the fire for our supper, without a single pesty mosquito or fly or any kind of bug to bother us. Still can’t quite figure that one out, but there are very few bugs around the upper end of Howard Prairie, even down by the water. 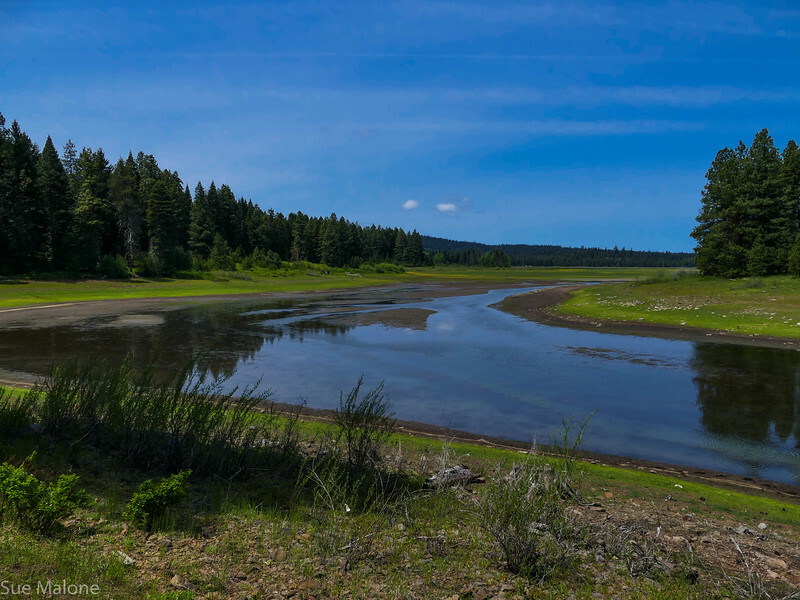 When we were out in the boats, on the larger portion of the lake, we did encounter a few bugs, but nothing like what we have experienced in the Klamath Basin. During our entire respite, we had no cell service to speak of, except a few notifications that would pop up now and then. I couldn’t actually see them, so unless I was trying to use the maps, I turned off the pesky phone with it’s irritating notification noises. No internet of course, no email, nothing. I love that time for completely shutting off the electronic world, and while it can be a bit of a withdrawal, it has wonderful rewards. I found myself a bit reluctant to move back into the connected world which seems so full of “stuff”. It is easy to simply hide away in your own little bubble in the mountains and pay no attention whatsoever to the dramas ensuing in the outside world. We ran the generator each morning to keep the batteries charged up, paid attention to our water use and did all the dry camping things that one does for saving water, knowing that we only had a few days back to long hot showers at home It’s easy to do for a short time, but of course a longer stay would require a bit more care. Our rig is small, without the huge holding tanks that the big guys have, so boondocking for us is limited to about 5 days reasonably. We could do more, but so far haven’t really needed to. We returned to Grants Pass by way of a circular route back east to Lake of the Woods. I wanted to see if that campground was as empty as the camps around Howard Prairie and Hyatt Lake. Sunset Campground, where we have spent July 4th and have never been able to get a reservation to camp, no matter when I try, was half empty. However all the sites were reserved for the weekend. In the past, people usually reserve sites for two full weeks before the 4th in order to have them for that day. Crazy stuff. We enjoyed our short camping trip thoroughly, driving a bit reluctantly back to civilization and regular life. It was great to get back to our sweet comfy home, but it is all the sweeter when we know that magical escapes like this one are so nearby. May--It started with Iris and Ended with Roses, and More Guests. Of course we are, everything is great. Except for a few irritating little things that just won’t seem to go away, like knees, hips, ankles, blood tests, dentists, doctors, an emergency appendectomy for Mo. Multiply that by two people and you get the idea. Somehow it all got away from me and the only way I could figure out where it went was to return to the trusty Google calendar, and Mo’s trusty paper pocket calendar. 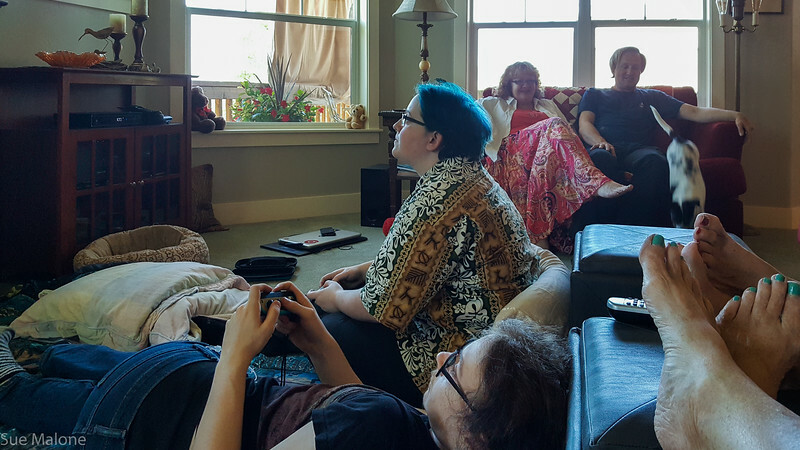 Mother’s Day weekend was upon us right after our guests, Erin and Mui, departed, and Daughter Melody and her Robert and my grandsons showed up on Saturday night to help me celebrate. They came with grocery bags full of food and took over the kitchen to make a wonderful dinner. I don’t think I even loaded the dishwasher! Melody and Robert took the guest room and we spread sleeping bags on the floor for the grandkids. It felt like old times when I lived in my tiny house in Idaho and all the kids would come over and sleep on the floor. Axel brought a cute video game to share, promising me that it wasn’t violent, perfectly G rated. My daughter took a video of me trying to figure out where I was on the screen and what in the world I was supposed to be doing. It was great fun to share the silly game with family. 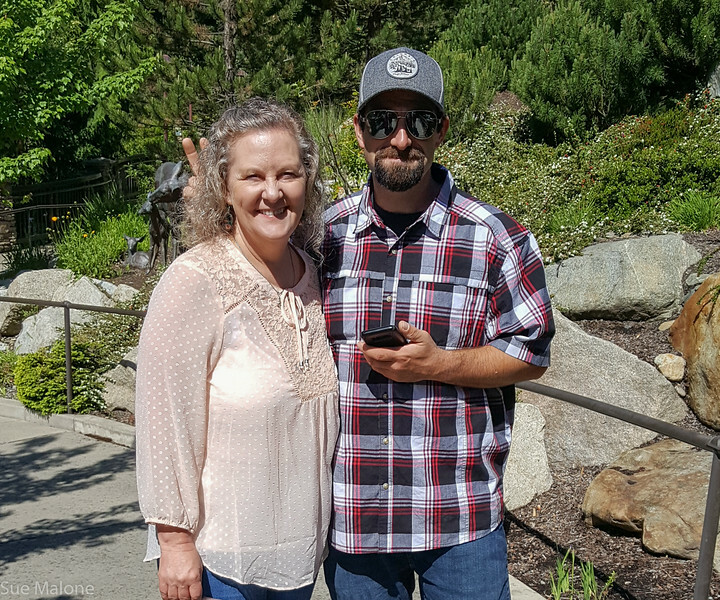 On Sunday morning we drove down to the river to our favorite Mother’s Day brunch restaurant, the TapRock Grill. The brunch is lovely and there are no reservations taken, so we were really surprised when we arrived and were immediately shown to a table. In years past we have waitied more than an hour, something I never minded because it is fun to see all the mothers with flowers and corsages. Remember when all the mom’s at church got a corsage? Deborah and Melody brought mommy gifts, in addition to the surprise package received from Daughter Deanna in the mail, and I was treated to some amazing presents, including a spiralizer for my Kitchen Aid Mixer, and another shredding gadget for the mixer, all to help my new low carb eating plan. Spiralized zucchini “zoodles” are a new favorite! Daughter Melody brought more magical painted rocks to add to the wondrous tiny painting she made of my favorite spot in Capitol Reef. It was a very sweet day in the sunshine, and we repeated our traditional walk through the lovely grounds to enjoy the river, the sculptures, and the gorgeous murals. Trying to remember what happened during the rest of the month, I looked at the blog for a bit of help, and opened to a gorgeous photo of Crater Lake, shared with Erin and Mui more than a month ago. 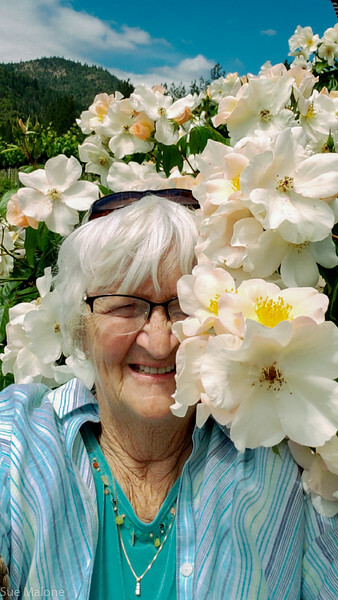 Once that lovely week was behind us, Mo and I settled into the home routines of mowing and more planting, watering, raking, taking more stuff to the Goodwill and the landfill, the everyday stuff of life. Someone asked somewhere along the way on a Facebook post, “What gives your life meaning on a daily basis?”. The question haunted me for days. What!? I could think of many things that give my life meaning that happen much less often than daily. After a few days of thinking about this, as I cleaned and cooked and laundered, and gardened, I suddenly remembered an old Buddhist proverb. There is more to it than this, but essentially, it is Chop Wood and Carry Water. I realized that the mundane everyday chores are what give life meaning on that daily level. Most of the time, I enjoy those simple things, but the question made me think about it differently, helped me to pay a bit more attention to being in the now and actually paying attention to the wood chopping and water carrying of life. 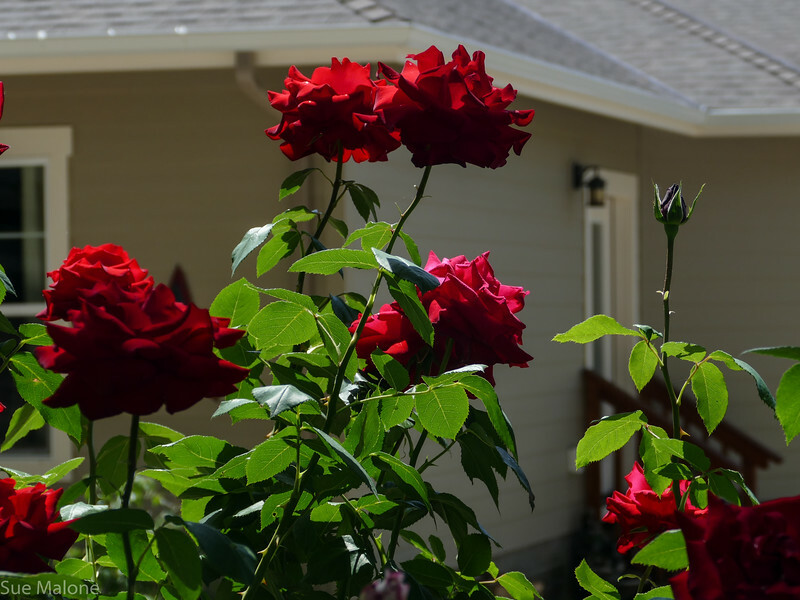 Today’s simple chores include spraying the roses with Liquid Fence, the natural but very smelly reason that I can grow roses at all in a land of neighborhood deer herds. 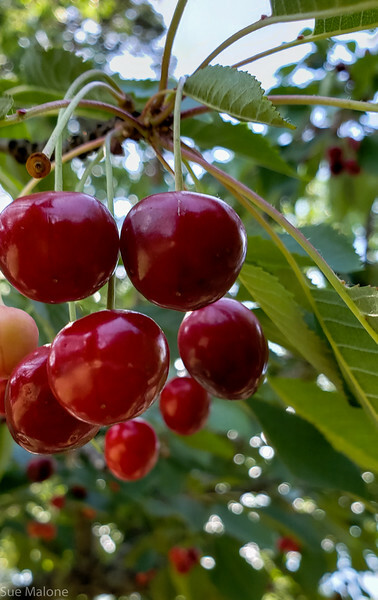 I also spent some time picking cherries from our two trees, one with sour cherries for jams or pies, and the other with big, fat juicy sweet cherries for eating. This year we actually got to the cherries before the birds did!. 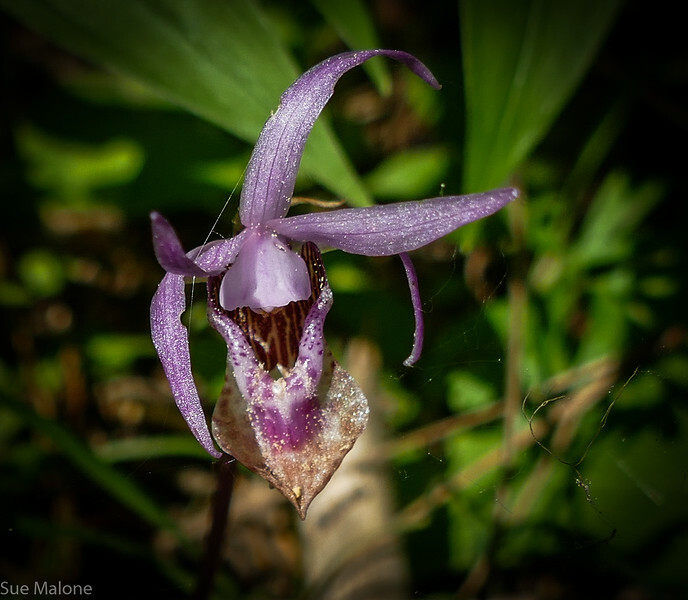 The afternoon is warming up and I am grateful for a cool home where I can retreat and catch up on processing photos, and yes, writing this blog. The second highlight of our “friends” month was a visit from Maryruth and Gerald. They last visited us when the house was a mere shell, camping at Valley of the Rogue State Park in the heat of August. 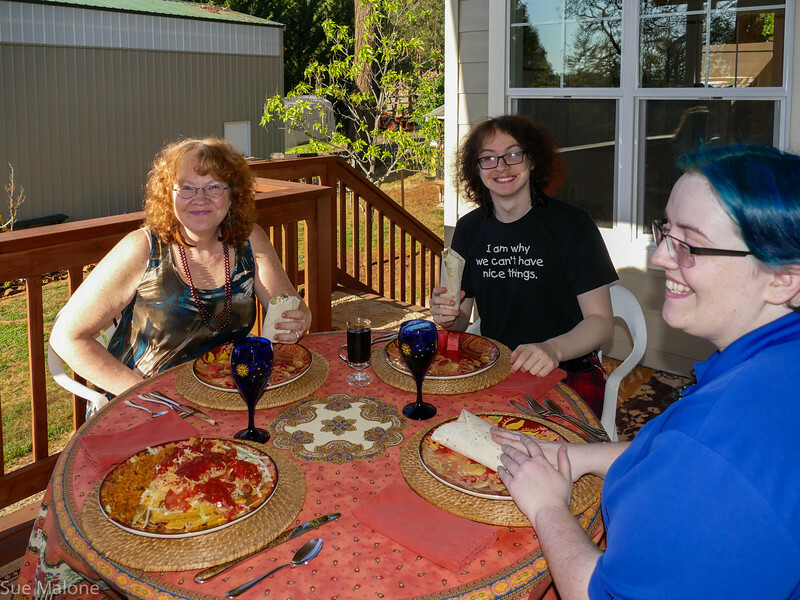 This visit we had a guest room and bath to offer them, and pleasant evenings on the porch with more yummy food. Decisions about what to do were easy, and the choice to spend the first evening and the next day doing absolutely nothing was a good one. 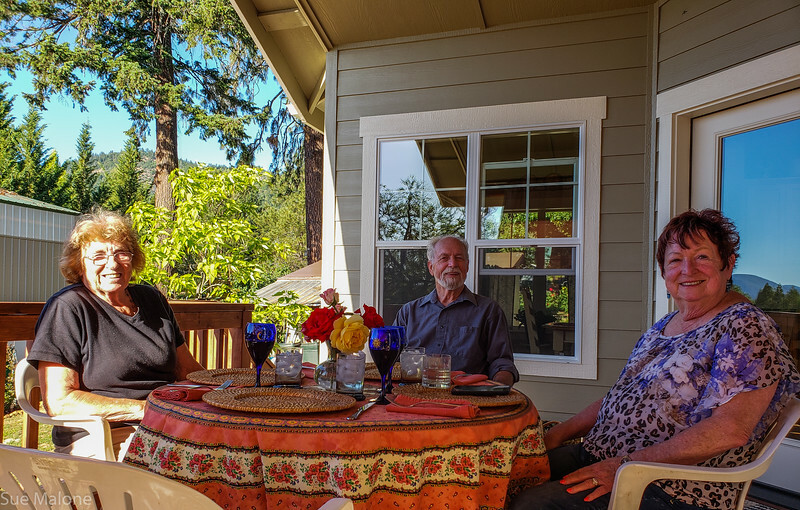 As a hostess, it felt a bit strange to have nothing on the agenda, but the day flowed easily with a long lazy breakfast, good conversation, drinks on the porch, and playing the card game we learned back in April from Carol and John. Cooking for them is easy, even though Maryruth is a great cook, they both seemed quite happy with our meals. 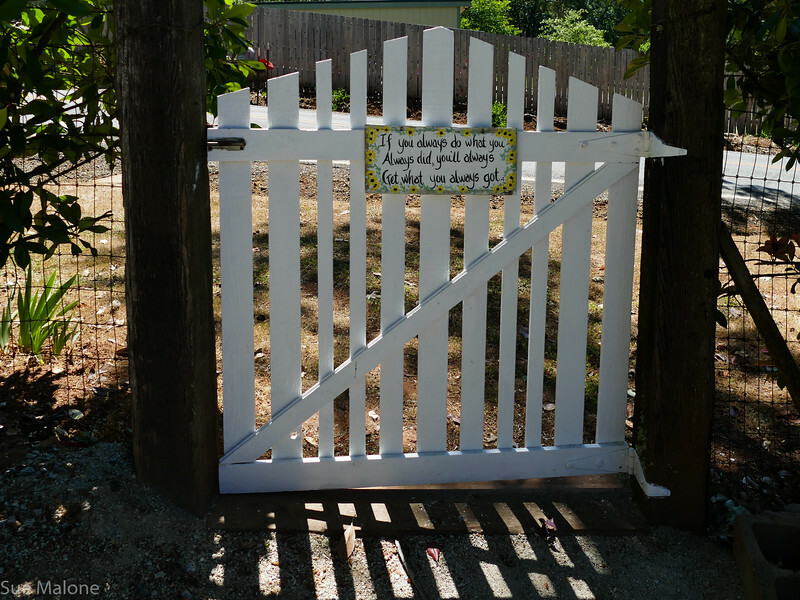 It was a lovely week, if a bit cool, and perfect weather to explore the beautiful Applegate Valley. The northern entrance to the valley is just a few miles south of our home. 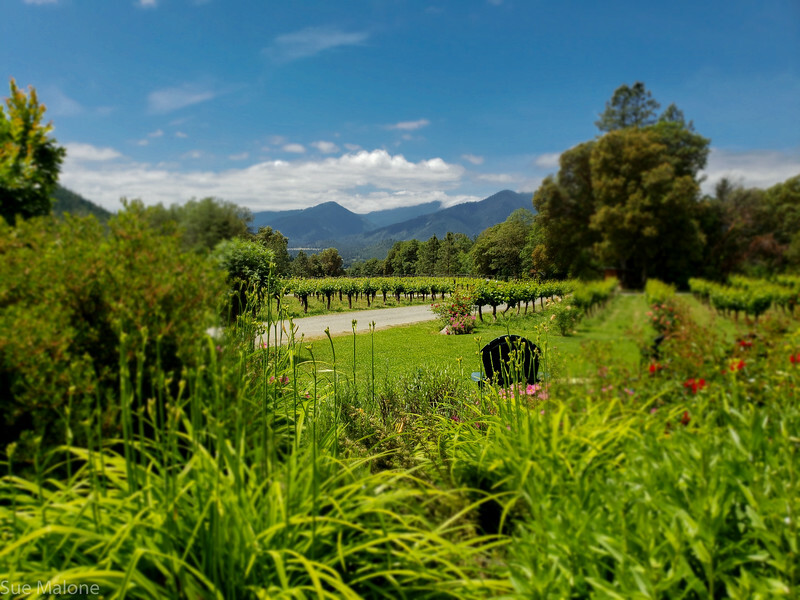 The Applegate Wine Trail is becoming quite well known in the world of wine, and the wineries are beautiful and welcoming. 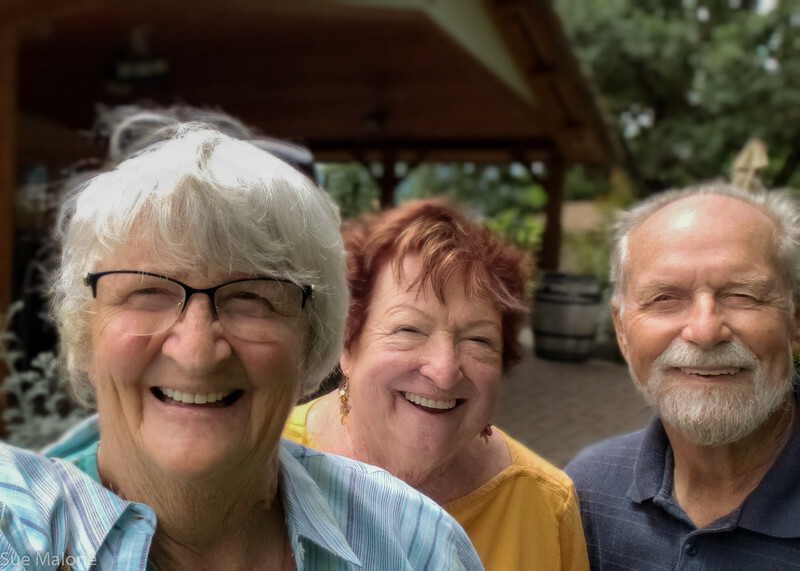 Mo and I were delighted to discover that many of the vineyards have incredible gardens and outdoor seating areas that include live music and snacks on summer evenings. With a short 7 mile drive to Schmidt Vineyards, I am sure that before the summer is over the two of us will amble down there on a Saturday evening for wine and wood fired pizzas. 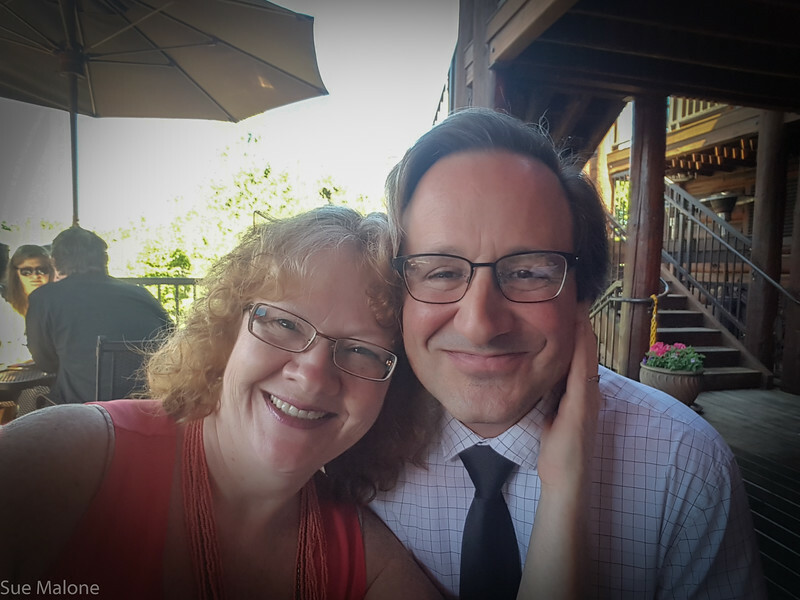 Maryruth and I were the official “tasters”, and as happened before when she and I visited Napa Valley just a little over a year ago, two tastings were just about all we could handle. 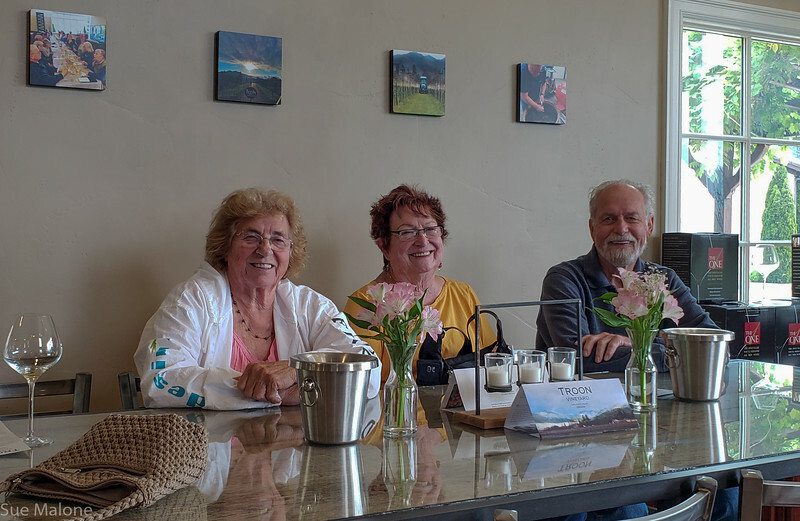 The rest of the time we walked and explored, talked and visited with the very friendly wine stewards who shared their knowledge of the grapes, the wine making process, and the Applegate Valley. Our favorite wines came from Troon Vineyards, but the second favorite was the Red Lily, with their incredible lovely dry summer rosé. Wooldridge Vineyards had the most beautiful views, and made goat cheeses as well, and the previously mentioned Schmidt Vineyards had the most lovely gardens. Reaching the charming little town of Jacksonville in late afternoon was perfect timing for a lovely late lunch/early dinner at Bella Union, a well known and very good restaurant in a building that dates back more than 150 years. The shops and stores beckoned, but after our day we had no desire to shop, in spite of all the cuteness of the historic gold town. Weather held for another day and we decided that a trip to the coast was our best choice. 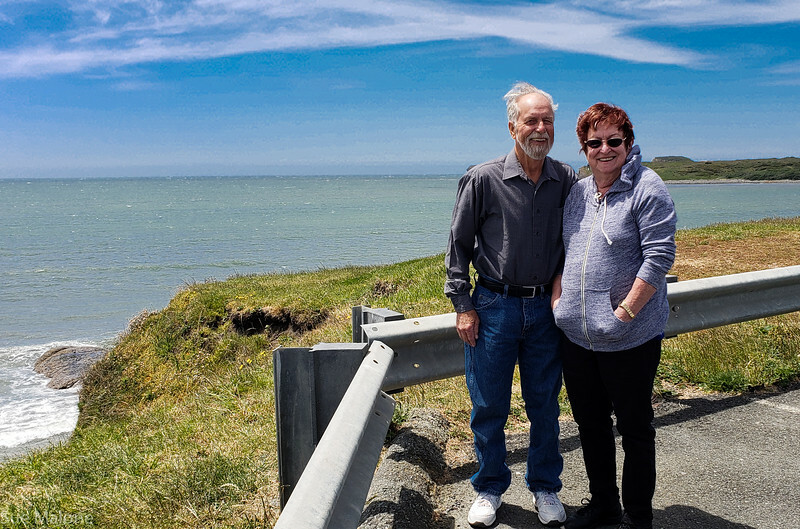 Maryruth and Gerald have shared Brookings with us a few times, both at Mo’s condo she once owned in town on a cliff overlooking the ocean, and camping in a yurt at Harris Beach State Park. This time we decided to explore Crescent City for something new and different. Jedediah Smith State Park is on the route, and we stopped at the lovely visitor center for the Redwoods National and State Parks, including this portion of Jedediah Smith. With lots of helpful information and maps in hand, we decided to take the packed dirt road that led past the beautiful Stout Grove and directly to Crescent City through the park rather than staying on the highway. It was a lovely drive, and in our car, the potholes were impressive, but not daunting. We looked for a log in the sun to spread a picnic, but no sun was to be found in that deep shade. Instead we opted for a wide place in the road to open up the hatch of the car for an al fresco lunch in the forest. We were glad of that decision when we left the forest and drove toward Pebble Beach and saw that the winds would have made a beachside lunch uncomfortable. Following along on the “ten best things to do in Crescent City”, we visited the lovely lighthouse, inaccessible due to tides when we were there. We drove Pebble Beach, and found the biggest surprise at the Del Norte County Historical Museum. I asked if I could take photos, and the docents said they appreciated me asking, and “no”, please do not. We wandered the three floors and many rooms of the old building, amazing at the incredible collection of “stuff”, all displayed beautifully. The star of the show, however, was the First Order Fresnel lens that was once in the famous St George Lighthouse located in the ocean on a lonely rock just north of Crescent City. With the chilly wind blowing hard, we didn’t spend a lot of time outdoors, stepping out now and then to walk a little bit, to look at the ocean and enjoy the surf. Once again we decided on a late afternoon lunch/early supper with a visit to the Chart Room, a favorite fish spot for Mo and I that we were happy to share. Dinner was yummy! I had a fish taco salad that was quite different than anything I had before, with excellent grilled fish on a bed of cabbage. Sounds terribly boring, but the sauces are what made it, and I can’t begin to describe them, but really yummy., some kind of chipotle cream and a cilantro cream drizzled over it all that are making my mouth water as I write this. The drive home was easy, just 84 miles of beautiful highway 199 along the gorgeous Smith River. We spent a last lovely evening visiting on the porch. It is fun for Maryruth and I to remember other times in our lives when things weren’t so simple. Somehow looking back at the hard times with someone who shared them with me makes the present good times even sweeter. On a final note, I will leave you with an attempted selfie that I took at Schmidt Vineyards in the gardens. I have no idea why, but every time I see this picture I burst out laughing. The epitome of silly.